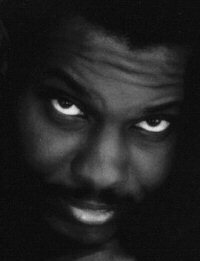 Wayne Gerard Trotman is a Trinidadian born composer, arranger, producer and performer of electronic music. Playing synthesisers and drum machines, he employs a wide range of styles including new age, jazz, rock and classical in his creation of innovative musical hybrids. Drawing heavily from Trinidadian, African, South American, Asian and European influences, Wayne Gerard Trotman's productions are distinct in the electronic music genre. Since the mid 80's he has produced music for films including the soundtrack for his own feature - Ashes to Ashes (1999). Jean Michel Jarre, Synergy, Kraftwerk, Vangelis, Tangerine Dream, Giorgio Moroder, Philip Glass, Miles Davis, Michael Nyman, Barry Gray, Ennio Morricone.